Super special New Year's Eve dance! 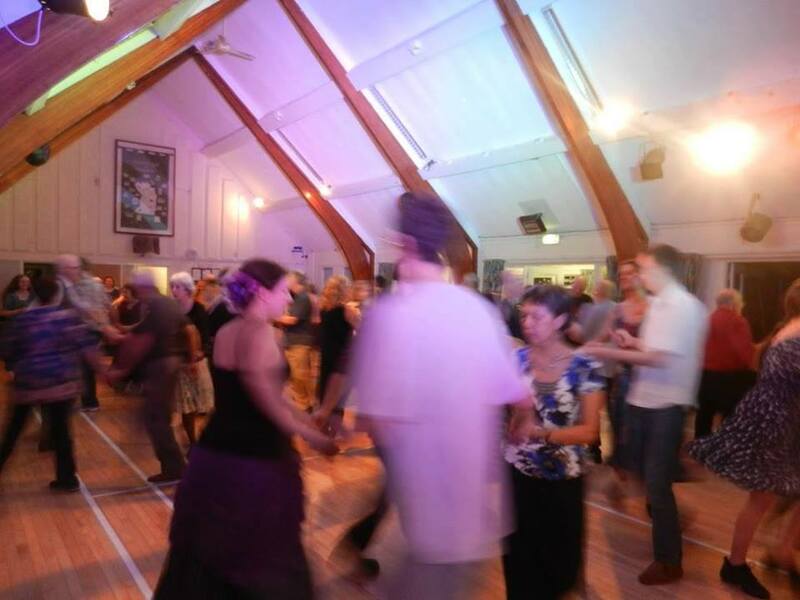 We are delighted to have been asked to play for the New Year's Eve contra dance in Harbury, Warwickshire for a second year. Bob Morgan and Jake Wood will be calling. All four of us will be there, but like last year we will be a three piece for half the time. It's going to be great. Come celebrate with us! ​Location: Harbury Village Hall, South Parade, Harbury, CV33 9JE. Near Leamington Spa. Timings: 7.30pm start. Dancing until midnight. Tickets: These are £10. Contact Jen using the contact form below (will go directly to her email account) to reserve a ticket. She will add your name to the list and payment is in cash on the door. Bring and share supper: Please bring a plate of food to contribute to the bring and share supper. Indoor camping: If you would like to stay over in the hall (bring sleeping bag and roll mat or something similar) that is an option this year! The cost of this is £5/person, and includes shower and breakfast. Calls: This year the dances will be called with the role terms Larks and Ravens - Larks on the Left and Ravens on the Right. You are invited to dance whatever role you wish. Lift sharing: Some people come to this event using public transport - if you can offer any lifts from Leamington Spa railway station that'd be awesome and helpful to some folk. We'll try to match people up closer to the time. Any questions or queries, don't hesitate to contact Jen using the form here or the contact form for the band on the 'Contact Us' page. Contact Jen with this handy form! I am new to contra dancing (or I am bringing someone who is). I am returning to dancing after injury, or I am disabled, and I want some space to figure out how to adapt the dance for me. I am new to dancing with Larks and Ravens as role terms. I can probably offer a lift to or from Leamington Spa railway station. Contact me closer to the time to see if I can help out here. I would like a lift to or from Leamington Spa station. No promises but we'll do what we can. I would like to help out if exchange for a discounted £5 helper ticket (limited number available).